Uber's self-driving cars are moving to Arizona. The California Department of Motor Vehicles revoked Uber's autonomous vehicle registration this week after the company failed to obtain proper permits before hitting the public streets in San Francisco. So Uber moved its efforts to the desert on Thursday. "Our cars departed for Arizona this morning by truck," an Uber spokesperson told CNNMoney in an email. "We'll be expanding our self-driving pilot there in the next few weeks, and we're excited to have the support of Governor Ducey." 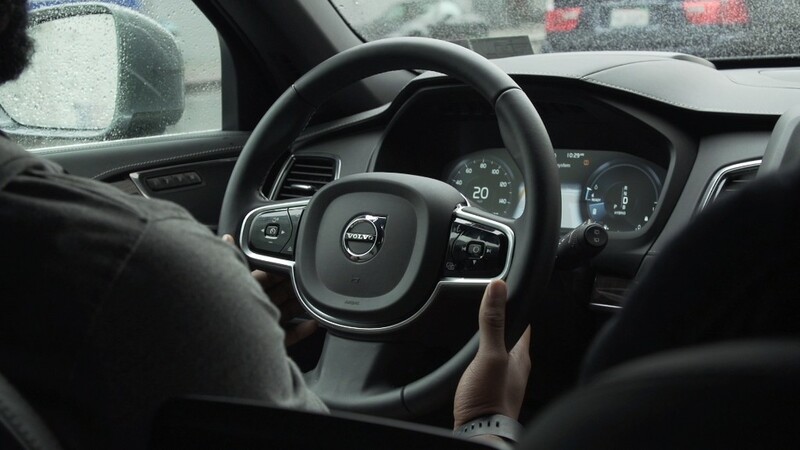 Uber had planned to roll out 16 self-driving Volvos in San Francisco to test its autonomous driving technology. Two human "drivers" would sit in the front seats to ensure the vehicles were operating properly. The California DMV initially told Uber it must obtain permits to operate on public roads like other companies testing self-driving technology, including Google (GOOG), Ford (F), and GM (GM). The company tried to skirt regulations, saying its tests fell under a different purview and likened its autonomous cars to Tesla's autopilot that doesn't require the same permits. A spokeswoman for Arizona Governor Doug Ducey told CNNMoney Uber already operates a self-driving car program in Arizona. The company partnered with the University of Arizona to research mapping technology in 2015. Tim Tait, an spokesman for the Arizona Department of Transportation, told CNNMoney there are no special regulations in Arizona for self-driving cars. They must obtain the same registration as any other vehicle. Tait said Alphabet's new self-driving car company and GM are also testing vehicles in Arizona. Governor Ducey published a statement on Thursday welcoming Uber and criticizing California for its "burdensome" laws. Arizona's regulations regarding autonomous vehicle testing are not as strict as California's. In 2015, Governor Ducey signed an executive order to support autonomous vehicle testing and attract new technology business to the state.